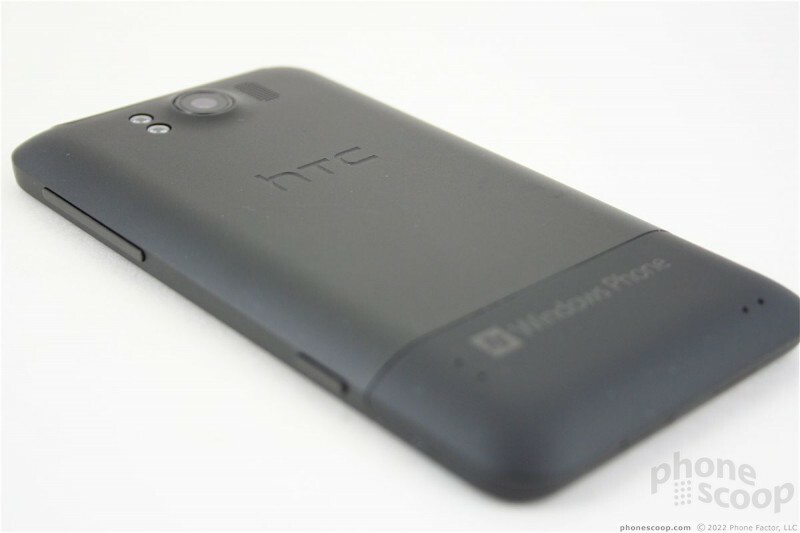 HTC knocked the Titan out of the park with respect to hardware design. 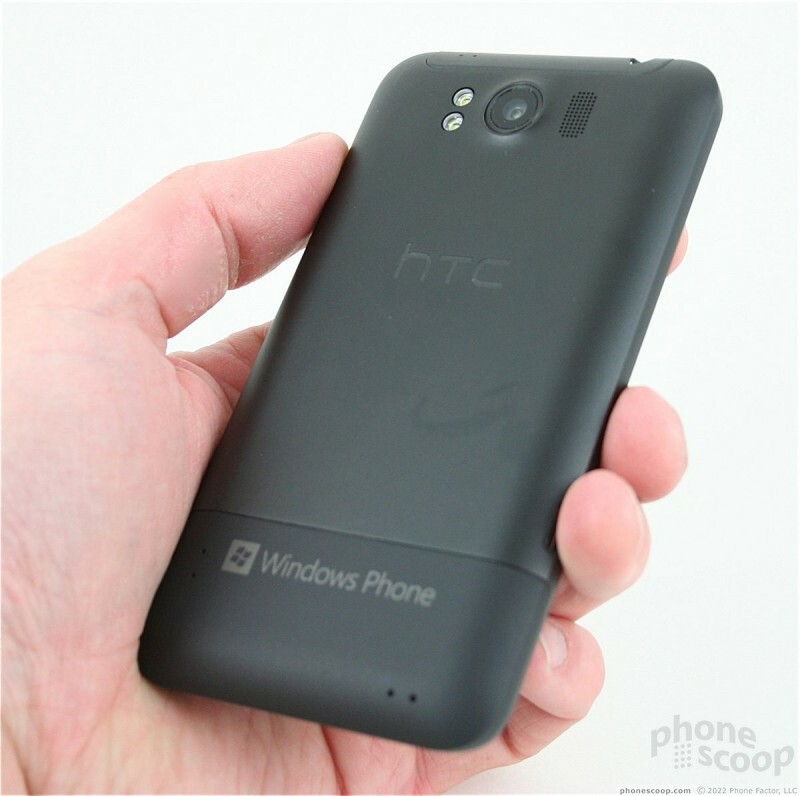 It avoids some of the pitfalls of HTC's most recent Android handsets and sticks with the same design features it has lent its flagship Windows devices for several years now. That means dark surfaces, quality build, and excellent feel in the hand. Reminiscent of the HD, HD2, and HD7, the Titan is a large slab of obsidian thanks to its pocket-stretching 4.7-inch display. 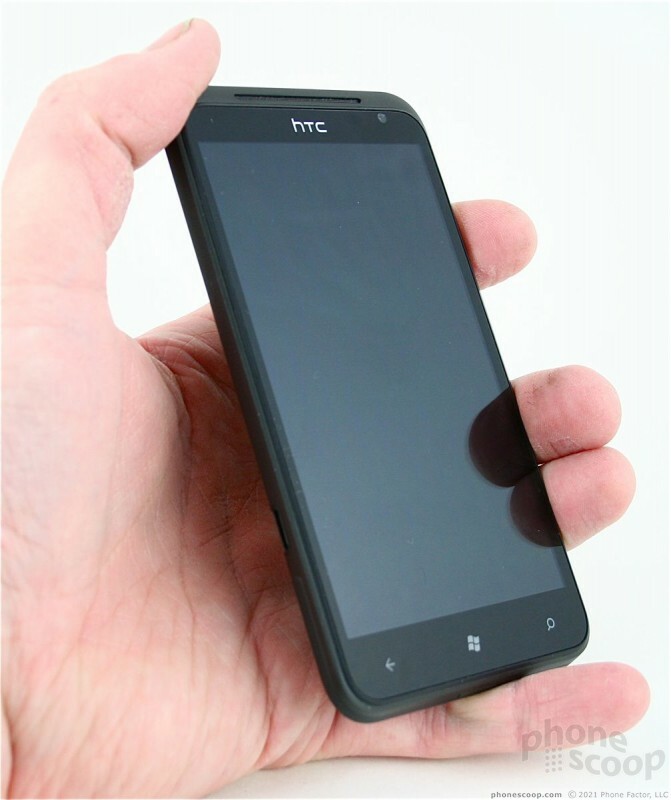 It's amazingly large, though HTC has done its best to make sure it's not a monstrosity. 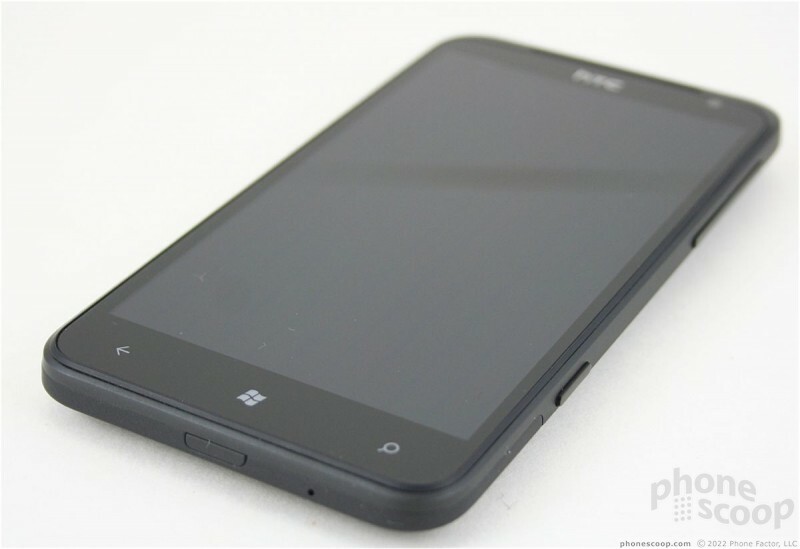 The back and side surfaces are smooth, rounded, and feel comfortable in the palm of your hand. 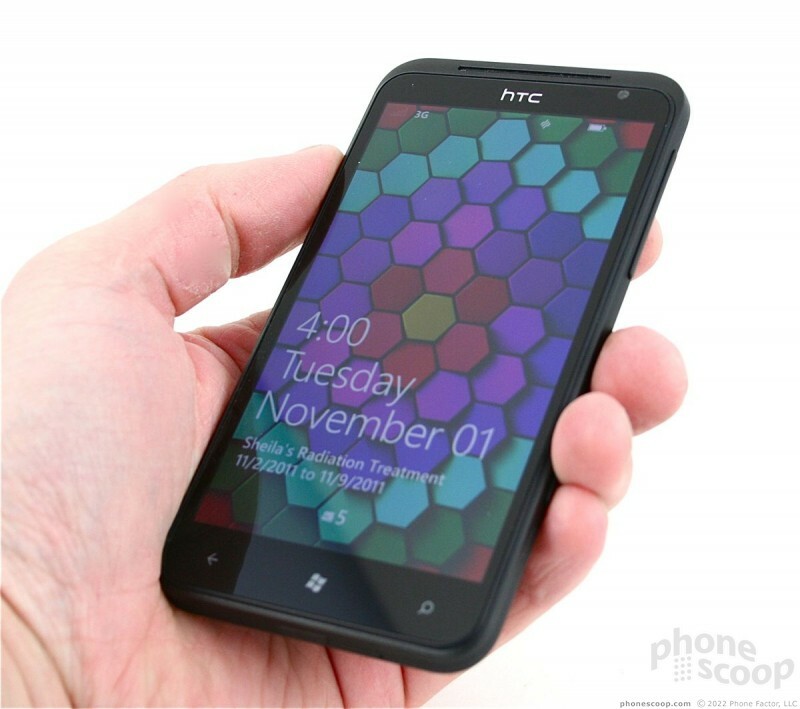 Only those with the largest hands will be able to wrap their mitts all the way around this phone. Thankfully, it is thin. It'll fit into larger pants pockets, but thanks to the weight and footprint, you'll know it is there. Small jeans? No way. 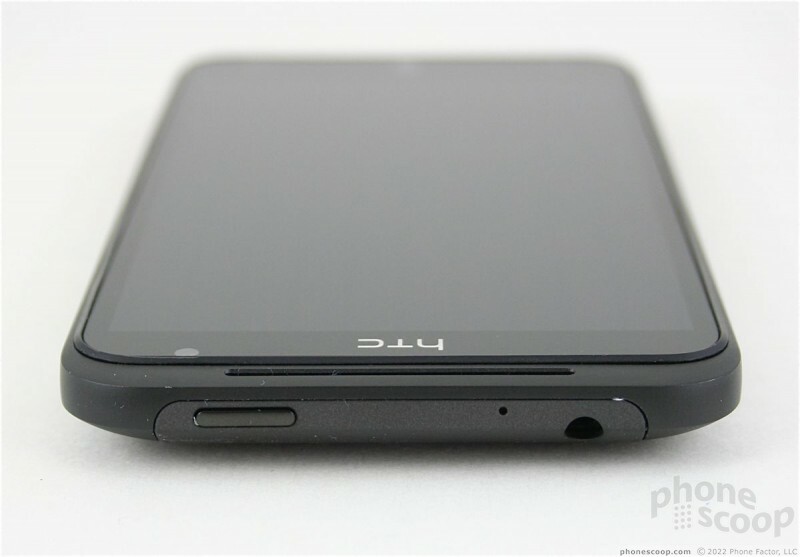 The front face of the phone is almost all display. The bezel is thin, and lets the display stretch nearly from edge to edge. 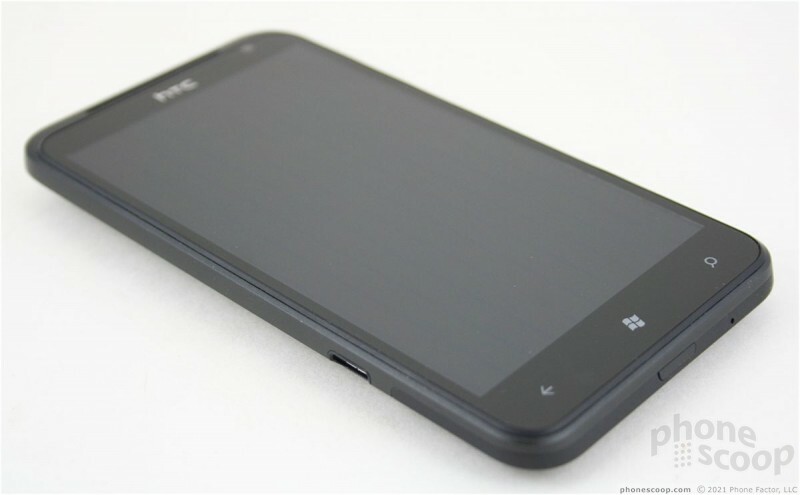 There are three capacitive buttons below the display to activate and use the typical Windows Phone controls: Back, Home, Search. These buttons worked well, but I found that they blinked off too quickly, making them hard to see in darker environs. 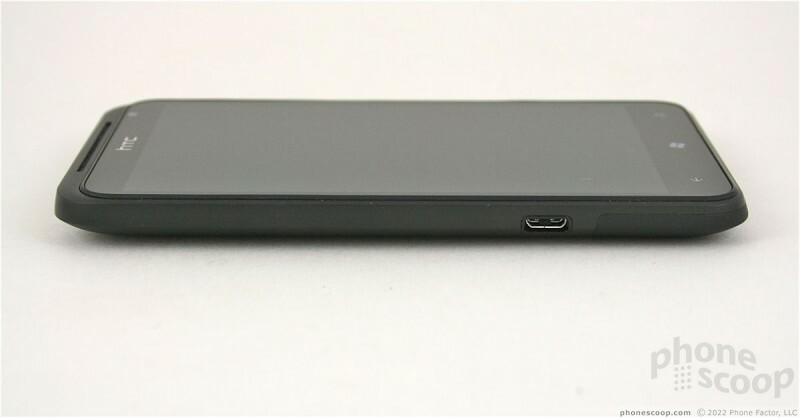 The microUSB port is notched into the left edge of the phone. 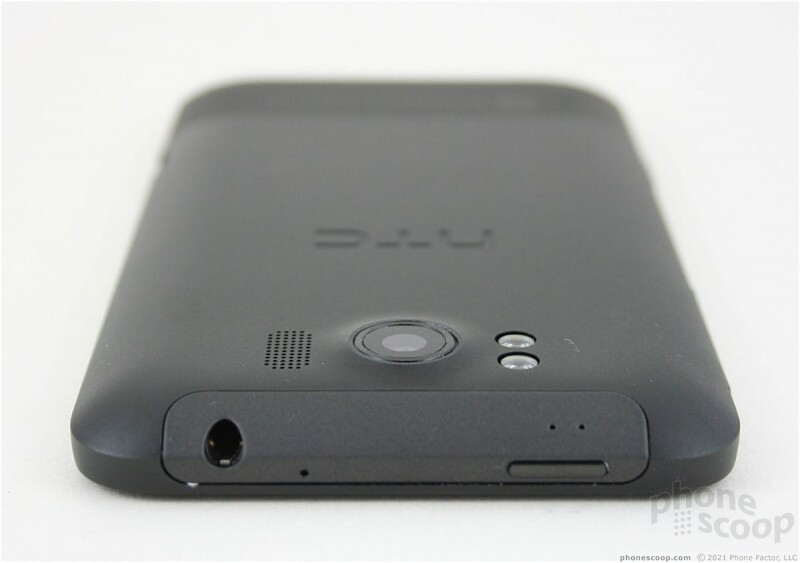 The volume toggle and dedicated camera buttons are on the right side. 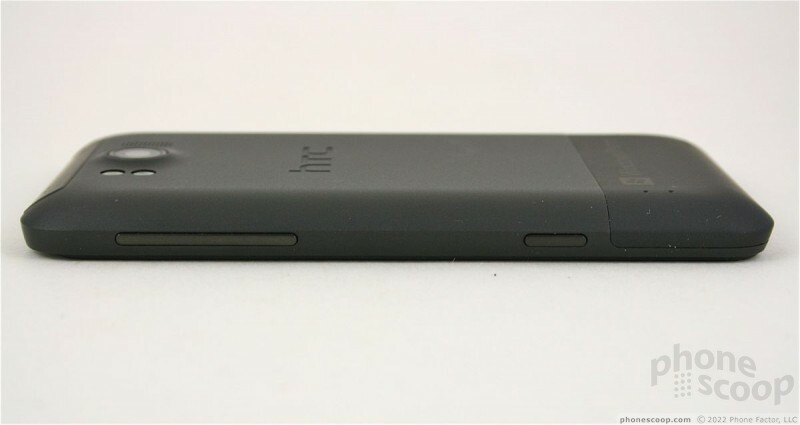 The volume toggle is a thin sliver, as is the norm for HTC handsets. It has very good travel and feedback. The camera button, positioned closer to the bottom of the Titan, is a two-stage key for focusing and releasing the shutter. It has excellent travel and feedback, and the two stages are perfectly defined and easy to tell apart. The lock button is on the top edge, as is the 3.5mm headset jack for stereo headphones. The lock button is thankfully easy to find, and the travel and feedback is satisfying. 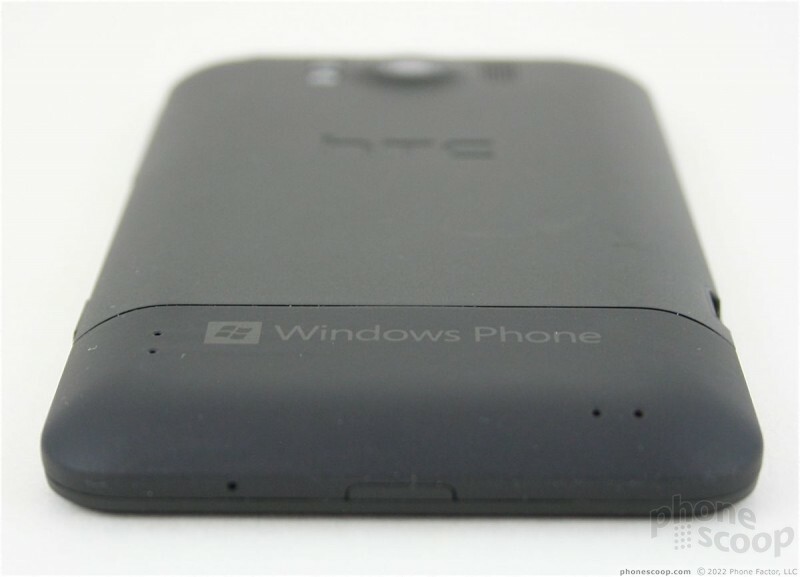 This is an important button, so I'm glad HTC got it right. On the back surface, the camera is positioned close to the top edge. It reminds me of the portal you'd see on the side of an ocean liner, with its round, protruding design. The dual-LED flash is a few millimeters to the left of the camera lens. Though the camera sticks out a bit, it isn't an annoyance of any sort. To remove the back cover, you have to press a little button on the bottom edge of the phone. Rather than lift off a small panel, the entire back and side surfaces of the Titan are removed. 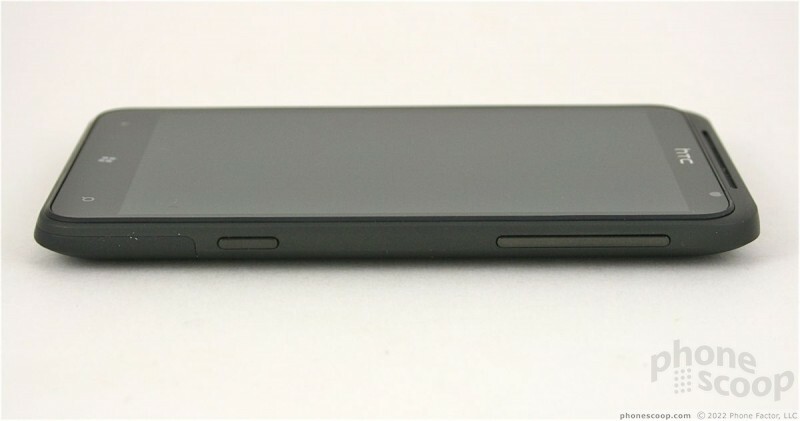 The antenna is clearly built into the back cover, and you'll see metallic parts and contacts on both the cover and exposed back surface of the device. The SIM card is next to the battery, which must be removed to pull out the SIM. 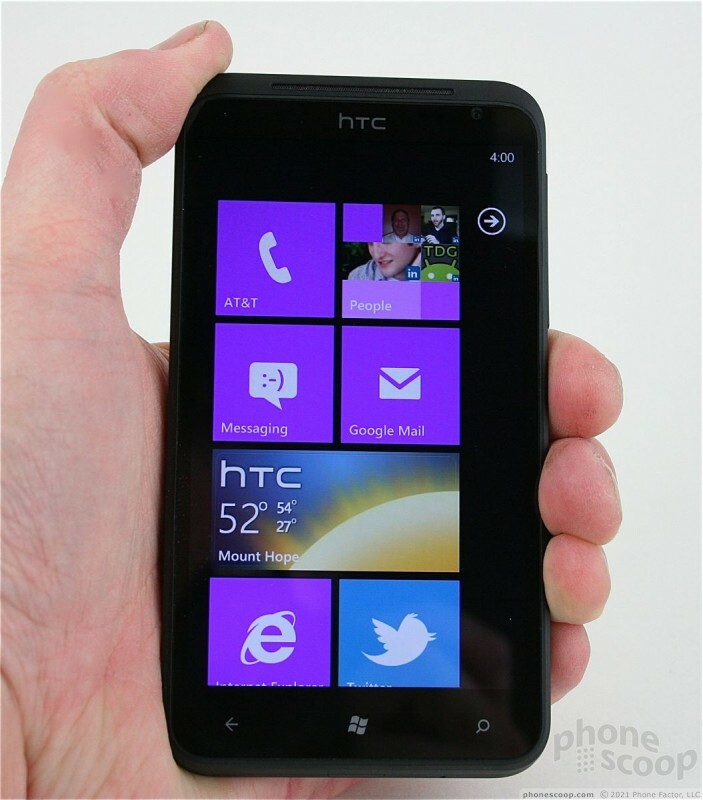 Windows Phone does not yet support expandable media, so it doesn't have a slot for a microSD card. 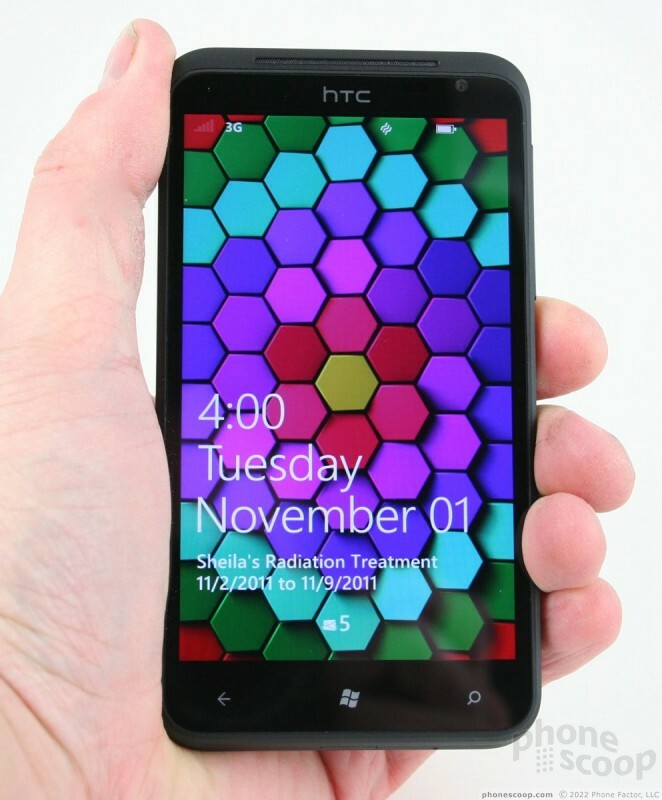 In all, the HTC Titan is a great piece of hardware, especially for those who like it big.